Published Sunday, September 9, 2018, OK personal/derivative use; link www.lovethatimage.com. 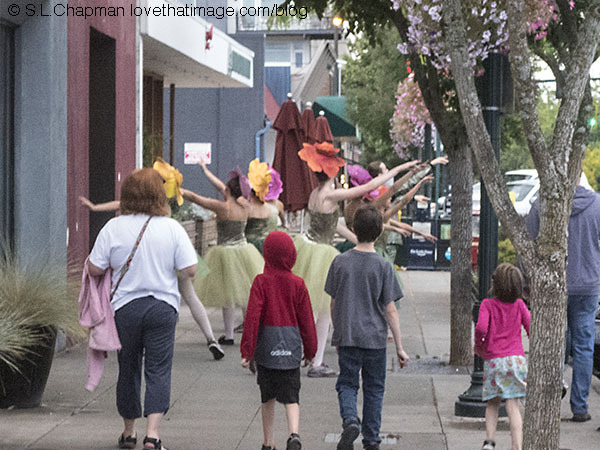 I don’t know who these dancers were or why they were floating down the main drag of Old Town Burien in hats like flowers, but there they were the other evening. They were starting to attract a following, too. Looking like flowers, a group of dancers wafted beautifully down 152nd St. in Burien, WA. See Through My Lens Monday, Ruby Tuesday 2, Our World Tuesday, Tuesday’s Wordless Wednesday, Pictorial Tuesday, Wordless Wednesday, Wednesday Around the World (WATW), Floral Bliss Wednesday, Floral Friday, Orange You Glad It’s Friday, Pink Saturday, My Sunday Photo, and Sunday Snap for more photo fun. Have a great day and hope to see you here again soon. Lovely! What a sweet sight! How lovely – like a mini flashdance! What a lovely sight. 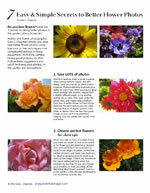 They seem to a floral theme going on. This is a happening street with some colourful dancers.